High Pressure Resistance, Tensile Resistance Etc. 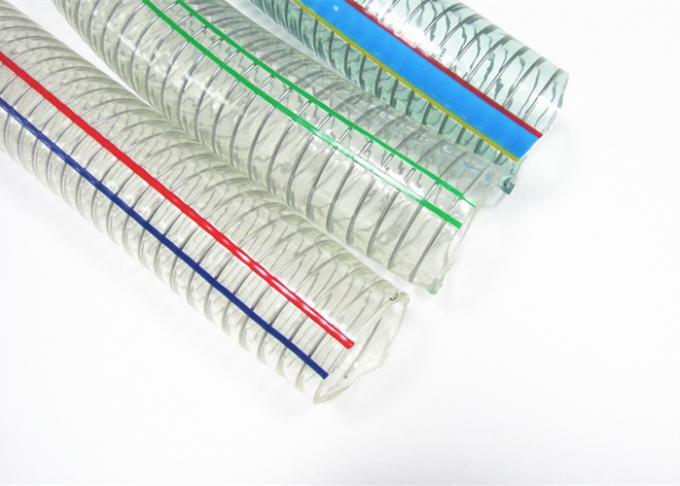 This product is a non-toxic pvc transparent hose embedded with spiral steel wire skeleton. It has high elasticity, wear resistance and excellent solvent resistance (most chemical additives). The product meets the needs of new type pipes in machinery, petroleum, chemical industry, national defense industry, manufacturing and other industries. 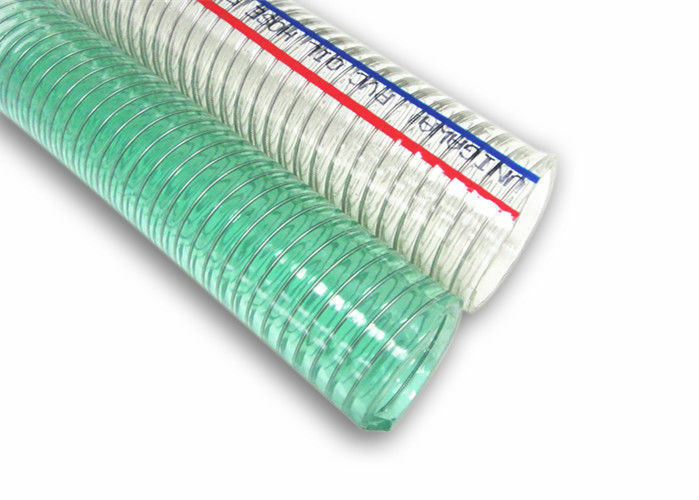 It is an ideal liquid delivery hose for the new generation, and its performance index has reached the international advanced level. Transparent steel wire pipe is widely used in industry, agriculture, food and medicine, construction, wind power generation and other industries, suction and drainage, oil, low concentration chemicals and other liquid and solid particles, powder materials. It can be used in vacuum pump agricultural machinery, drainage and irrigation equipment, petrochemical equipment, plastic processing machinery and food sanitation machinery industries. Color: transparent, yellow, green etc. China Good Quality PVC Water Hose Supplier. Copyright © 2018 - 2019 pvcwaterhose.com. All Rights Reserved.